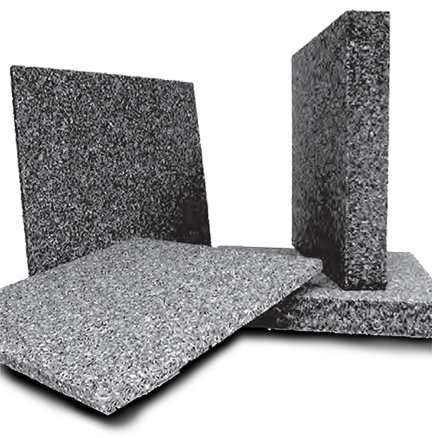 Specifications Light-weight and water-resistant QuietPro panels are robust sound absorbers that are especially well suited for areas that require a durable, water-resistant material. 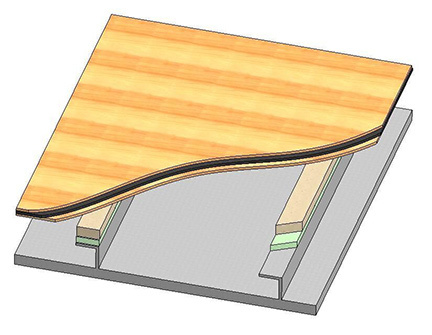 Floated Bulkheads, or even an entire floating interior, can have a significant effect on noise reduction, essentially turning your floor into a layered sound absorber. 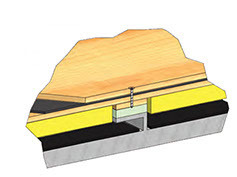 Floating a bulkhead means adding layers - hard surfaces raised or suspended with small fasteners, creating a thin, absorbent layer of either material or air in addition to the standard bulkhead. This approach is often used in staterooms, but it can also work in the engine space if there is enough clearance. Isolate your interior spaces by decoupling the floors and walls from the structure of the vessel to keep structureborne vibrations from traveling through the hull. Floated soles are especially useful for staterooms, and can quiet a noisy space.